Hey Hey guys! If you missed my previous article on social bookmarking your content be sure to implement my social bookmarking strategies as well as this one. Today I want to cover 4 sources that you can use to create over 5,000 automated backlinks from high PR websites. Although they are from High PR sites they are mostly coming from statistical websites like quantcast. alexa etc. They don’t carry as much link juice since they are URL backlinks meaning they are NOT in context and not anchor text. They do however DEFINITELY help and only take 5 minutes to submit and they run in the background. I mostly use these sources immediately after setting up a new niche site. After running my site through this 4 step system my site gets indexed within 24 hours. 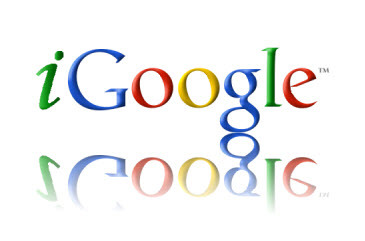 If your site is already established it can still help boost your link juice. 1. 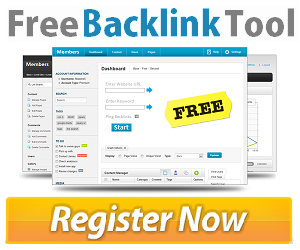 FreeBacklinkTool: (<– Link opens in a new window) This website allows you to create 500 backlinks within minutes. The links you create here will help your website rank higher in search engines and get attention by major search engines like Google, Yahoo & Bing. You do need to create an account but it is 100% Free To register. 2. IMTalk: (<– Link opens in a new window) This website is AMAZING and allows you to create 2523 backlinks! It does take longer than FreeBacklinkTool but it all runs in the background. It will take about an hour to hour and a half to complete. This is also 100% FREE but they do have a forum to which you can register and I highly recommend. 3. BacklinkGenerator: (<– Link opens in a new window) This site is also extremely useful and MUCH quicker then the other too but it only creates 325 backlinks in about 5 minutes. Again this is 100% FREE and no account required. 4. BulkPing: (<– Link opens in a new window) I absolutely love BulkPing and will also be talking about using their service for getting your backlinks indexed but for now we will be using it to generate over 3500 backlinks!! Yes FREE 3500 automated backlinks! Now I do have to let you know Bulkping works great but sometimes it does not create all 3500 links. Sometimes in only does 1,000 and other times 2,000. I’m not sure why this varies but it still works just fine. Also this one takes the longest of the 3 at about 90 minutes to 2 hours to complete. That is pretty much it you can easily use these 4 sources to index your website or send some link juice to your already established website. You can also submit your site to these websites multiple times a month if you’d like. I hope you found this article helpful and you create your backlinks!